A recent motorcycle crash in Orlando stands as a reminder that motorcyclists face many dangers on the road. According to the Daytona Beach News-Journal, 45-year-old Jeffrey Parrett of Orlando pulled directly in front of a rider on a 2015 Yamaha motorcycle, causing a crash. Fortunately, the motorcyclist was wearing a helmet which allowed him to survive the initial impact. Other motorcyclists might not be so lucky. Whenever another driver’s carelessness leads to a crash, injured victims might be entitled to compensation for their injuries. 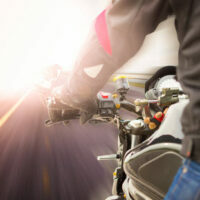 It should not be surprising that motorcyclists can suffer devastating injuries in a collision. Motorcyclists are less protected than drivers in passenger sedans, and they often suffer a direct hit during a collision. Motorcyclists can also be thrown from their bikes and can collide with other objects, such as barriers or light poles. Even minor injuries, like scrapes or cuts, can become infected and keep you out of work for weeks. If you or a loved one has been injured in a motorcycle accident, seek immediate medical treatment. Prompt medical intervention can often make the difference between life and death. Replacement of lost wages. If your injuries prevent you from returning to work, you might also qualify for lost future wages or reduced earnings capacity. Reimbursement of medical expenses. You can receive compensation for any money spent on hospital stays, doctor’s visits, prescription drugs, or equipment like crutches or wheelchairs. Emotional distress, for emotions like grief, anxiety, depression, fear, or irritability. If a loved one died in the crash, you can also receive burial or funeral expenses, as well as lost companionship or parental support. If so, Bundza & Rodriguez is here to help. We assist motorcycle accident victims put their lives back together after a devastating crash by pursuing compensation from those parties at fault for your injuries. Our Daytona Beach lawyers will fully investigate your case and make sure that the party who caused the crash is held responsible. To schedule your free consultation, give us a toll-free call at 866-785-5470 or fill out our online contact form.